Oh what a feeling! 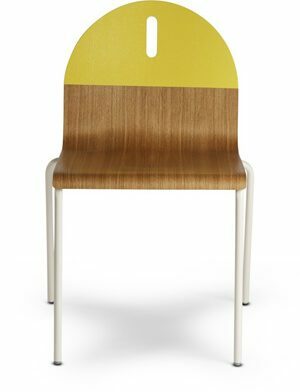 Completely upholstered from top to bottom, the Neat Dining Chair is as friendly to the posterior as it is to the eyes. Neat is one darn comfortable situation. Leather lounge chair and leather ottoman also available. Gently contoured back and seat. Plastic glides on feet to protect surfaces. Camel Leather: An aniline leather that has been burnished and polished to create a cool hand and velvety texture with a slight sheen, enhancing the natural character of the leather; A lovely patina will develop over time. Color variation is a signature to the authenticity of natural leather.